The Republic of Trinidad and Tobago lies in the Caribbean between the Caribbean Sea and the North Atlantic Ocean. The two islands came under British rule in the nineteenth century, but gained their independence in 1962. Due to the production and processing of the island's vast amount of petroleum and natural gas, the Republic of Trinidad and Tobago is considered to be one of the most prosperous island groups in all of the Caribbean. The population, as of July 2001, was recorded at nearly 1.2 million, with 69 percent of its residents falling between the ages of 15 and 64. The islands maintain a 97.9 percent literacy rate, with men achieving only a slightly higher rate of literacy than women at 98.8 and 97 percent, respectively. The ethnic makeup of the islands is divided almost evenly between blacks and East Indians (primarily immigrants from northern India) at approximately 40 percent each. The remainder is comprised of mixed (18.4 percent), white (0.6 percent), and Chinese and other (1.2 percent). Trinidad and Tobago maintains a parliamentary democracy with the capital city Port of Spain. The country's mass media includes one television station with five channels, two major radio stations operating four channels, and several daily and weekly newspapers. The Trinidad Express and The Trinidad Guardian are both updated daily, each with a special Sunday edition and a Web site. The high level of literacy on the islands has fostered the creation of several media outlets across the region. It has also allowed print media to hold an important role in the distribution of information. Trinidad and Tobago has the highest per capita consumption of newsprint in the Caribbean. Additionally, the country's four major newspapers enjoy a daily circulation of 240,000; the most popular newspapers, The Trinidad Guardian and the Trinidad Express are responsible for 160,000. Making its first print run on June 6, 1967, the Trinidad Express , was formed by a group of Trinidadian journals to compete with the Daily Mirror and The Guardian , both British-owned publications. Relying on the financial support of several of the country's most influential citizens for start-up expenses, the Express overcame its uphill battle to carve out a niche in the print market and to become one of the islands' leading publications. The paper eventually came under the ownership of Caribbean Communications Network (CCN), which also owns the islands' top television station, TV-6. The Express attempts to provide balanced format spread among coverage of news, investigative reporting, and social events, as well as in-depth reports on historical facets of the islands' rich cultural heritage. The Express , which includes the Daily Express and the Sunday Express , reached a circulation of 80,000 during the 1990s, before leveling off to an average daily print run of 75,000 in 2002. Garnering approximately 40 percent of the reading public, the Sunday Express is the region's leading weekend publication, selling an average of 8,000 more papers weekly than its nearest competitor. The Express targets both the islands' community as well as the outlying Caribbean region. 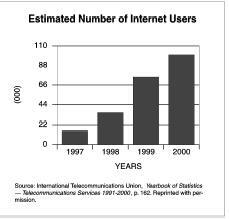 In an effort to broaden its reach, the paper launched a Web site in 1997. Offering up-to-date regionally information and news, the Web site averages 10,000 hits every day. Established in 1917, the Trinidad Guardian is the oldest newspaper on the two islands and has played a highly influential role throughout the twentieth century. Although it is officially independent, the newspaper has often been branded as procolonial "white," and then "status quo" during the independence movement. The Guardian , the only broadsheet newspaper on the local market, continues to enjoy widespread appeal among the people of Trinidad and Tobago, now maintaining readers from every major category of socioeconomic status, location, ethnicity, age, and gender. The Trinidad Guardian continues to hold the status as the most credible newspaper in Trinidad and Tobago. The main focus of the Guardian is to maintain high quality and exclusivity in its editions. The Guardian is preferred by the middle-to high-income group. The Guardian gathers an average daily circulation of 40,000 and a Sunday circulation of 41,000. It reaches a number of niche markets with its special publications and sections, including "Mid Week Sports" (Wednesday), "Business Guardian" (Thursday), "Rise—Young Adult Weekly" (Friday), "TV Week" (Saturday), and "Sunday Business Guardian" (Sunday). Additionally, specialty magazines are published monthly, covering topics such as health, real estate, bridal, education, construction and various other topics. Quarterly cookbook series are also published. The country's two afternoon newspapers are the Evening News and the Sun , each with a circulation of 40,000; they are owned by the Trinidad Guardian and the Trinidad Express , respectively. Several political weekly newspapers, which tend to be more critical of the government, such as The Bomb and The Punch circulate as well. Catholic News , the weekly newspaper of the Archdiocese of Port of Spain, was founded in 1892. Newsday of Daily News Limited is an English newspaper produced in the capital Port of Spain. Tobago News , produced in Scarborough, has recently joined with the Express and is updated every Friday. Trinidad and Tobago News Network is an Internet publication, which is updated fairly irregularly, about every two weeks. The product of a bruising battle with the government over freedom of the press, the Independent was formed in November 1996. Senior staff members of the Guardian walked off their jobs after a row with Prime Minister Basdeo Panday and pulled their resources together to launch the weekly newspaper. The journalists were determined to maintain a free press; however, five years after it was founded, the weekly Independent folded due to lack of advertising returns. The Republic of Trinidad and Tobago is home to one of the most diversified and successful economies in the English-speaking Caribbean. In addition to large reserves of petroleum and natural gas, the islands have successfully developed industry in iron and steel, methanol and nitrogenous fertilizers, and petroleum products. Transportation links such as air, sea, and land are in excellent condition, and the islands also maintain a strong telecommunications link with the Americas and Europe with completely modern capabilities. These factors have lent to the islands' reputation as an excellent development site for international business. Due to the economic reforms implemented in 1995, foreign investment and trade flourish. The main sectors of development include petrochemical, tourism, food processing, cement, beverage, and cotton textiles. The currency of the island is the Trinidad and Tobago dollar. This climate of a prosperous economy that Trinidad and Tobago enjoys lends to higher levels of education and literacy rates, which in turn boosts sales of the country's newspapers. An evaluation system designed by Freedom House, a nonprofit nonpartisan organization, is used throughout the world to determine the level of independence a country's press enjoys. On a scale from 0 to 100, a lower score signifies a freer press system. A score between 31 and 60 indicates a press that is partly free. Trinidad and Tobago has been awarded a rating of 28, indicating that they fall on the freer end of the spectrum. Despite the fact that Trinidad and Tobago enjoys a fairly free press, 10 deaths, 10 kidnappings or disappearances, and 8 arrests of members of the media were reported in 2000. The Trinidad and Tobago constitution guarantees freedom of expression and freedom of the press. However, after the 1995 election of the current administration, the freedom of Trinidad and Tobago's press came under peril. In April 1996, Guardian journalists enlisted the help of UNESCO to organize a public forum on the role of the media in a democratic society. Journalists stressed the need to safeguard editorial independence, and demanded that the outdated libel laws be repealed. They claimed these laws are used as a backhand method of gagging the media. They also emphasized the need for a Freedom of Information Act to ensure the public's access to information. A media code of ethics was proposed in 1997 by the Trinidad and Tobago government. It was housed in a government document entitled, "Toward a Free and Responsible Media." This code required journalists and newspapers to "endeavor to highlight and promote activities of the state and the public, which aim at national unity and solidarity, integrity of Trinidad and Tobago, and economic and social progress." However, this code came under much scrutiny by the Trinidad and Tobago press and was eventually shelved. Many journalists felt that the ultimate goal of the government's new code was not to improve the freedom of the press, but rather to place journalists and newspapers under stricter scrutiny of the government. Also in 1997, Prime Minister Panday, who believed the media regularly published lies, rumors, and half-truths, refused to sign the Inter-American Press Association's Declaration of Chapultepec until it addressed issues concerning the lack of integrity in reporting. In 1999, Panday sent a letter to the President of the Inter-American Press Association stating that the Declaration of Chapultepec was not in accord with the constitution of Trinidad and Tobago. Panday claimed that it placed journalists above the law of the land. "The freedoms enshrined in our Constitution, including freedom of the press are all qualified by the caveat except through due process. This would apply for example, to a journalist cited for contempt of court for violating a court order. The Declaration of Chapultepec was also silent on the Constitutional right to privacy." deprived thereof except by due process of law." No other right or freedom in the constitution contains that phrase. Additionally, the media is not obligated by the constitution to obey a court order. It is, however, part of the common law that is practiced in Commonwealth countries, which includes Trinidad and Tobago. "While the solidarity among regional organizations has helped to beat back various challenges to press freedom in the Caribbean, it is becoming clear that governments across the region are also banding together in the attempt to bring the media to heel. In this general liberalizing climate, there seems to be a clear intention by Caricom [Caribbean Community] governments to restrict the limits of what is possible for the news media to cover. But a free, responsible press is infinitely more desirable than having a government decide the boundaries of freedom of information." In 1996, a local editor spent five days in prison and a reporter was fined after the court had ruled that they had published too much information about an ongoing murder trial in the islands. The two reporters appealed their conviction and sentence on the claim that there was a denial of justice and a breach of their right to freedom of thought and expression. Their employer, the Indepen dent , also filed a motion arguing that, "the judge's decision to prohibit reports on the contempt proceedings was a denial of the right to freedom of thought and expression." In 2002, this case was repealed based on the finding that the High Court judge was in error when he found the journalists guilty of contempt of court because insufficient evidence existed to support the charges. According to several practitioners, the finding was a significant victory for freedom, something the press has struggled to maintain through the last decade in Trinidad and Tobago. State-press relations became more conflicted when Panday, Trinidad and Tobago's first prime minister of Indian descent, was elected in 1995. Panday continually feuded with the largely black-owned media, expressing his dislike for journalists and calling on his party supporters to boycott the Trinidad Express , which he claimed was vindictive toward his administration. Although the Express and the Guardian openly criticize the government, the weekly tabloids tend to criticize to a greater extent. It is commonly believed that Panday's disdain for the media cost his administration a great deal of popularity. However, with the 2000 election, Panday curbed his contempt for the media in order to secure enough votes for re-election. The government-run Trinidad and Tobago Television Company offers over 70 hours of weekly viewing, including many locally produced programs. Television is popular, and television sets are common. The government's National Broadcasting Service was the most important station, operating on both 610 AM and 100 FM and reaching an estimated 650,000 listeners. 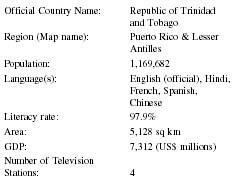 Other major stations include Radio Trinidad, operated by a subsidiary of the British firm Rediffusion, and Radio 95 FM, both of which are broadcast over parts of the Windward Islands and Leeward Islands. The Republic of Trinidad and Tobago has 17 Internet service providers and approximately 30,000 Internet users (according to the CIA Factbook). Several publications, including the islands' leading newspapers, are available online. The thorn in Trinidad and Tobago's side lies in the battle between the government and the media over the fundamental freedom of the press. Journalists and other members of the press alike have fought an ongoing uphill battle to maintain the freedom that they are legally granted by the country's constitution. It will remain to be seen what measures the current and subsequent governments take to curb these freedoms. However, the ruling party faces a very determined group of professionals. The country's high level of literacy and the popularity of the nation's newspapers will significantly aid the press' fight to maintain its freedom. Central Intelligence Agency (CIA). "Trinidad and Tobago, 2001." The World Factbook . Washington, DC: Office of Public Affairs, 2001. Available from http:// www.cia.gov . Farrell, Sheahan. "Trinidad and Tobago." The Trinidad Guardian . Available from http://www.guardian.co.tt . "News Sources from Trinidad and Tobago." Kidon Media-Link, 2002. Available from http://www.kidon. com/media-link . Richards, Peter. "Regional Media Complain of Censorship." InterPress Service, 30 December 1999. Accession no. 85774. Available from http://www.ips.org . Solomon, Denis. "Move to Silence Catholic Church." 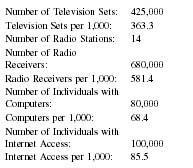 Index on Censorship , 25 June 1999. Available from http:/ /www.indexonline.org . ——. "Panday Shows His Hand." Index on Censorship , 4 June 1999. Available from http:// www.indexonline.org . ——. "'Sinister Auguries' for Free Speech." Index on Censorship , 15 May 1999. Available from http:// www.indexonline.org . "Trinidad and Tobago: Port of Spain 2002." CCN Group, 2002. Available from http://www.ccngroup.com . "Welcome to Trinidad and Tobago." Tourism and Industrial Development Company (Trinidad and Tobago) Limited, 2002. Available from http://www.visittnt.com . Williams, Sue. "Not Negotiable." UNESCO Sources, December 1996. Accession no. 9702230012. Available from MasterFILE Premier. World Press Freedom Review . Vienna, Austria: International Press Institute, 2002. Available from http:// www.freemedia.at . WE NEED MORE TELECOMMUNICATION SERVICES PROVIDERS, in general we need more service providers and product suppliers to create better value for CONSUMERS. I am a Trinidadian conducting research for a MA Mass Communications. I came upon this article and I am amazed at some of the information. e.g. "Despite the fact that Trinidad and Tobago enjoys a fairly free press, 10 deaths, 10 kidnappings or disappearances, and 8 arrests of members of the media were reported in 2000." What is the source of this? Is it that 10 media workers died or were killed? I would like to get a list of all the radio stations, television stations and printed press news owned by te government. thank you in advance, this is for study purposes( South University Padmore St. Course Communications Arts, Please make life easy for me if you can project due soon. An Update is needed to make this information credible and useful for Communication Students!!! A list of board of directors for leading major media conglomerates and consolidates in Trinidad and Tobago would be helpful and informative for all site visitors like myself. does anyone knows whether the paper has any association with faith based organizations either from the U.S. or from global ministries? i am a 6th former of the speyside high school tobago and i'm conduct a research on balancig press freedom and media ethics in t&t. i percieve this article as informative and fascinating but i would like to see some recommendations on how press freedom and media ethics can be balanced. thanks in advance. The impression given is that most of the media is under strict orders to restrict publishing or relaying any story or comment made by educated citizens, if it is any way reflects adversly on the governance of the country. I believe every ounce of input is regularly scrutinized by administrators and moderators holdinmg political allegiances to one party or the other before approval and publication. So really, in other words the freedom of the press is restricted to a very large extent, depending on the political contents and the status of the contributor. I my name is Devin Mc Neil and I am doing a sport marketing project i need some vital Information about the main mass media and broadcasting companies focused on sports or related in Trinidad and Tobago.